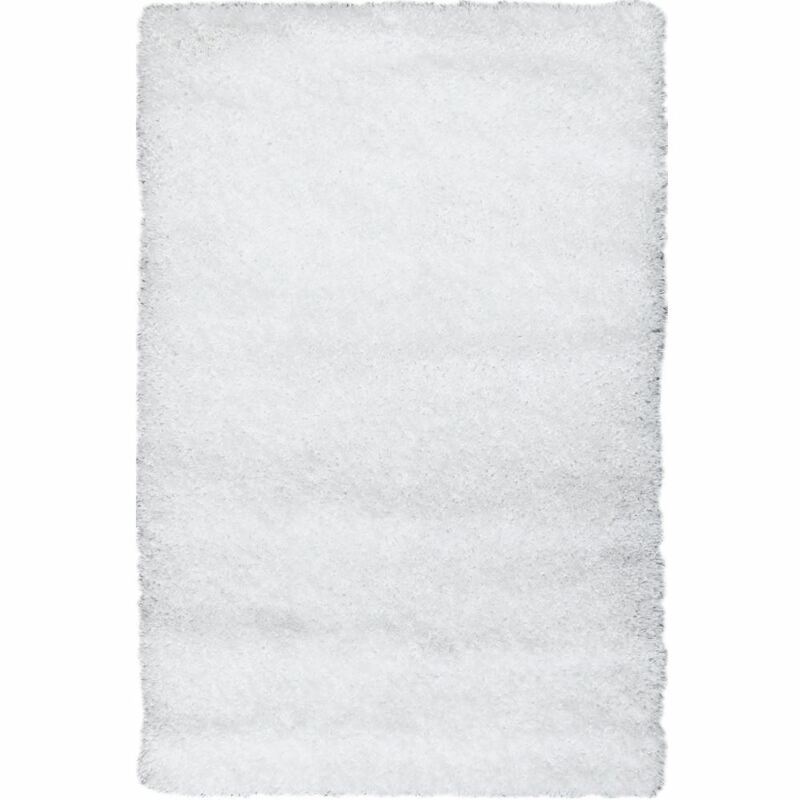 Solid White Shag Rug instantly brighten up any space to create a calming atmosphere that allows for a wide range of versatile styling options. Wake up your space with a plush, dense shag rug that’s packed with coziness and luxurious texture. Perfectly poised in a versatile snow white palette, the Solid White Shag Rug is a stylish and sophisticated choice for almost any setting. The neutral color palette of true white lightens your home in every season and allows you to be creative with the color scheme of your room. This snow white rug is anything but ordinary with a super soft, plush shag texture that you can dig your toes into and find comfort in! Each piece of yarn is expertly twisted and machine knotted into the jute rug base for lasting durability without fraying or matting. In fact, you can even vacuum and easily clean the shag rug without any worries about shedding. The edges are serged and overlock finished, offering a softer take on your favorite Cozy Rugs designs.